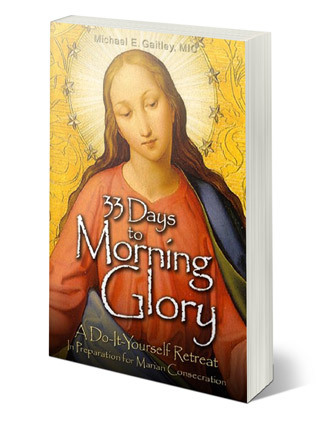 Congratulations to everyone who has completed the 33 day preparation for Total Consecration To Jesus Through Mary! It is a BIG accomplishment and you definitely deserve to be commended for your perseverance. In order to officially consecrate yourself to Jesus through Mary, please recite the following prayer. While it is strongly recommended that you perform the consecration at Mass (after Communion), it isn’t an absolute necessity. Eternal and incarnate Wisdom, most lovable and adorable Jesus, true God and true man, only Son of the eternal Father and of Mary always Virgin, I adore you profoundly, dwelling in the splendor of your Father from all eternity, and in the virginal womb of Mary, your most worthy Mother, at the time of your Incarnation. But I must confess that I have not kept the vows and promises which I made to you so solemnly at my baptism. I have not fulfilled my obligations, and I do not deserve to be called your child or even your slave. I ___________________, an unfaithful sinner, renew and ratify today through you my baptismal promises. I renounce forever Satan, his empty promises, and his evil designs, and I give myself completely to Jesus Christ, the incarnate Wisdom, to carry my cross after Him for the rest of my life, and to be more faithful to Him than I have been till now. This day, with the whole court of heaven as witness, I choose you, Mary, as my Mother and Queen. I surrender and consecrate myself to you, body and soul, as your slave, with all that I possess, both spiritual and material, even including the value of all my good actions, past, present, and to come. I give you the full right to dispose of me and all that belongs to me, without any reservations, in whatever way you please, for the greater glory of God in time and throughout eternity. Accept, gracious Virgin, this little offering of my slavery to honor and imitate the obedience which Eternal Wisdom willingly chose to have towards you, his Mother. I wish to acknowledge the authority which both of you have over this pitiful sinner. By it, I wish also to thank God for the privileges bestowed on you by the Blessed Trinity. I declare that for the future, I will try to honor and obey you in all things, as your true slave of love. O admirable Mother, present me to your dear Son as His slave, now and for always, so that He who redeemed me through you, will now receive me through you. I will be reading and discussing this prayer on the October 7th edition of The Gary Zimak Show and invite you to join me. Get ready…this will be the start of an exciting journey! 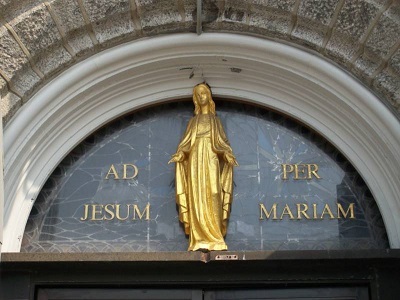 Total Consecration To Jesus Through Mary – What Are You Waiting For? On Sunday, September 4, 2016 we will once again begin the 33 day period of preparation which will result in consecrating (or re-consecrating) ourselves to Jesus through Mary on October 7 and I am inviting as many of you as possible to make this consecration along with me. This year, I am doing it in a completely unique and exciting way. Instead of using one particular book, I will be selecting our daily meditations from “The Best Of The Best” preparation methods (including books by Fr. Michael Gaitley, Fr. Hugh Gillespie and others). All of these daily meditations will be compared with St. Louis de Montfort’s guidelines to ensure that you are getting the best possible preparation. If you’re interested in joining me, I recommend that you listen to a 30 minute introductory podcast HERE. This will give you an idea of what to expect. Other than that, there’s nothing else you need to do – no book to purchase, no fee, no need to even leave your home. If you need a reminder, I recommend that you sign up for my email newsletter (see the sidebar to the right of this page). Beginning on September 4th, there will be a podcast available each day (by 8 PM each evening). The length of the shows will be 30 minutes (M-F) and 15 minutes (Sat-Sun). You can download the podcasts free of charge from BlogTalkRadio, iTunes or TuneIn Radio. Or you can listen to the podcast directly from my website by clicking HERE. Please share this invitation with as many people as you can. There is no cost and no vows are involved. You’re simply expressing the desire to become a better person and taking advantage of Mary’s help. It’s a great deal! Through the years, Total Consecration has changed many lives. Don’t just take my word for it, however. Give it a try and see what happens in your life. A Powerful New Way To Prepare For Total Consecration! 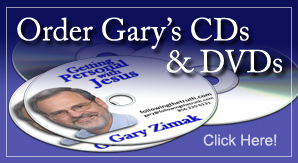 For more information, listen to this special episode of The Gary Zimak Show! Make Your Total Consecration Now! Get ready for an exciting adventure. Mary is waiting for your permission to do great things in your life. She will lead you closer to Jesus than you ever thought possible! 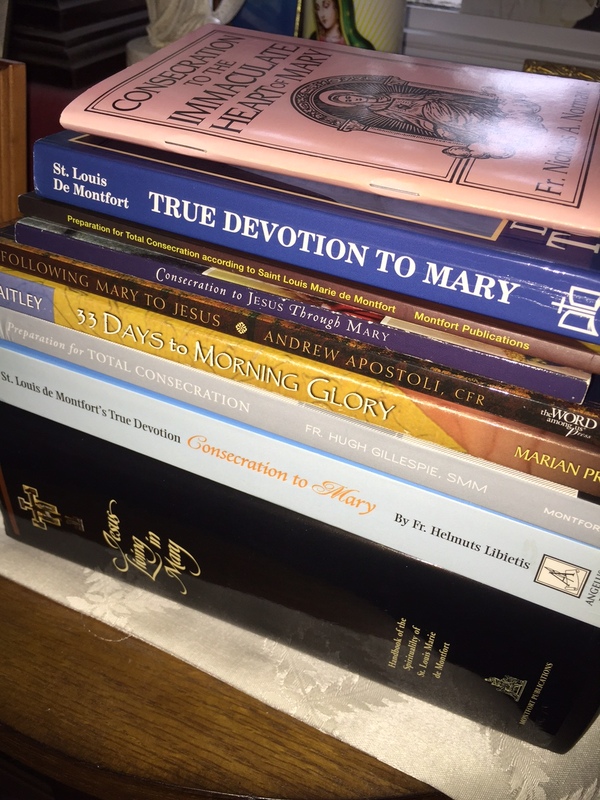 To obtain copies of the book or learn more about Total Consecration (such as a list of recommended starting dates), visit the MyConsecration.org website. 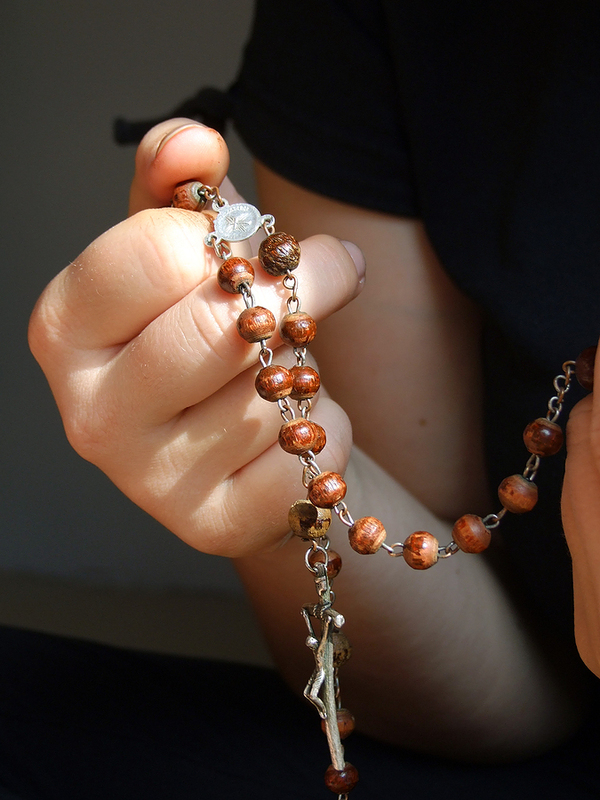 10 Great Tips To Help You PRAY (not just SAY) The Rosary! I’ve always found praying the Rosary to be difficult. Although I love the Blessed Mother and understand the importance of the devotion, it just doesn’t come easy to me. In reality, I have no problem SAYING the prayers, the problem arises in transforming the words into a heartfelt prayer. Furthermore, many books tell us how to SAY to Rosary, with only a few instructing us how we should PRAY it. In an attempt to discover the “secret” of this beloved prayer, I’ve done a lot of research and uncovered 10 great (I can say that in all humility because they’re not mine!) tips to help you PRAY (not just SAY) the Rosary! Talk about removing the pressure! I’ve always struggled to make sure I complete the entire Rosary, even if it meant that I wasn’t paying attention. Now I realize that quality is more important than quantity. 2. You Are Not Alone – A great proponent of Marian devotion, St. Louis de Montfort urges us to be aware of our company while praying the rosary. In The Secret of the Rosary , Montfort reminds us that, when we pray the Rosary, we should put ourselves in God’s presence and imagine that He (along with the Blessed Mother) is watching us and that our guardian angel is standing to our right. If we say the prayers well, our angel will use them to make crowns for Jesus and Mary. Thinking about this before beginning to pray helps us to realize that we are doing A LOT more than just repeating pious words! 3. Watch What You Say – St. Josemaria Escriva, the founder of Opus Dei, contributes a simple, but often overlooked suggestion. He encourages us to pronounce each Our Father and Hail Mary clearly and without rushing. In doing so, we will better express our love for Mary and Jesus. When praying the Rosary, it’s easy to fall into the trap of mumbling and our rushing through the prayers. Remembering that the Our Father was handed down to us from Jesus and that most of the Hail Mary is taken directly from Scripture should help us to recall that the words DO mean something! When we pray the Rosary, we should remember that Mary understands our problems and confusion. 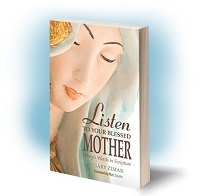 By meditating on the events in her life and the life of her Son, we can obtain help for our daily struggles from someone who is now in a place where we’d like to someday be! 5. Listen To The Word – In his Apostolic Letter, Rosarium Virginis Mariae (On The Most Holy Rosary), Saint John Paul II recommends that we supplement our Rosary meditations with Bible reading. After announcing the individual mystery, the late Holy Father encourages us to read an appropriate Bible passage. While this is not always possible (if we are praying while walking or driving, for instance), we can still mentally recall the details of an appropriate Bible story. This underscores the importance of becoming familiar with Sacred Scripture. 6. Savor The Repetition – Sometimes it feels as if praying the Rosary is just “repeating a bunch of words”! In fact, one of the criticisms of the Rosary is that it is nothing more than “vain repetition”. 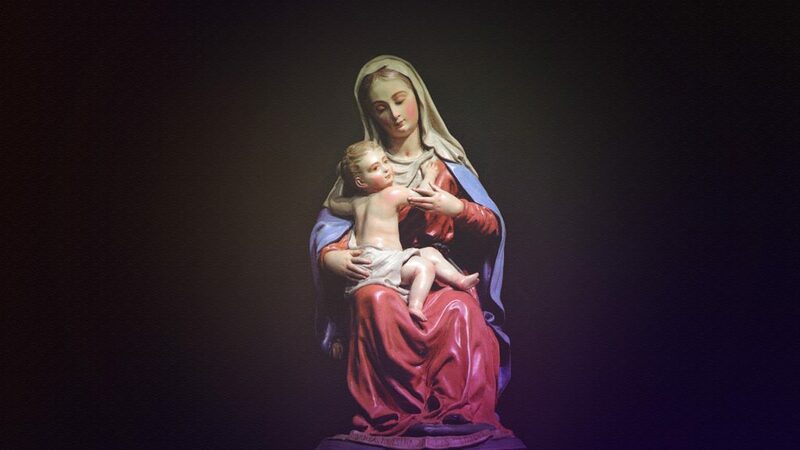 In his book, The World’s First Love: Mary, Mother of God , Venerable Archbishop Fulton Sheen addresses those who consider the rosary to be monotonous. Using the analogy of a husband telling his wife “I love you” or a mother proclaiming “you’re a good boy” to her child, Sheen stresses that the words mean something different at each point in time that they are repeated. In the same way, each time we pray the Rosary, we are saying “I love you” to God, the Trinity, to Jesus and to Mary. With each successive bead (or decade) the meaning shifts as we contemplate a new aspect of Jesus or Mary’s love. 8. Think – In the preface of Father Peyton’s Rosary Prayer Book: The Family That Prays Together Stays Together , Fr. Patrick Peyton reminds us that the Rosary is more than a series of prayers to be recited. Rather, it is “a series of thoughts to be dwelt on, to be turned over in the mind, to be applied in daily life.” While we are saying the words of the prayers, we should be meditating upon the mysteries. That was a hard concept for me to understand, but it’s the key to unleashing the power of the Rosary. 10. Ask Mary For Help – This one’s so obvious that it’s easy to overlook! 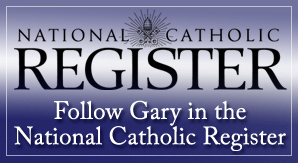 This simple, but powerful suggestion comes from a list (Tips On Praying The Rosary More Devoutly) put together by The Association of the Miraculous Medal in Perryville, MO. Before beginning the Rosary, we should ask Our Blessed Mother to help us pray devoutly. Although the Rosary follows a simple pattern, it can be a very challenging prayer to master. Rest assured that many of the Saints struggled with it too. If you find it difficult to pray the Rosary, try out these tips and see what happens. It might take a little time, but eventually your persistence will pay off. The next time you pick up your rosary beads, imagine that you’re holding Mary’s hand and taking a trip to visit Jesus. For when we pray the Rosary, that’s exactly what happens! Heading To Alabama To Talk About The Blessed Mother! If you’re in the Birmingham, AL area I hope you can join me on Wednesday, August 19 at Our Lady Of Sorrows parish. 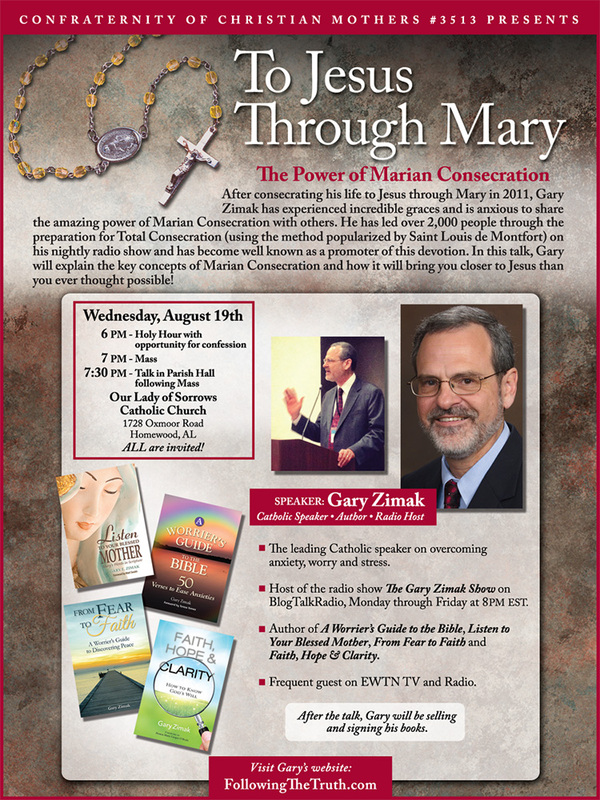 I’ll be speaking about the power of Marian Consecration. On October 7, 2011 I consecrated my life to Jesus through Mary and the results have been amazing. I can’t recommend it highly enough. Please join us for this special evening if you can. You won’t regret it! Also, on September 4, I’ll once be leading the 33 day preparation for Total Consecration on my nightly BlogTalkRadio show. This is the fifth consecutive year that we’ve done it and I’d love you to join us. Stay tuned for details! I recently had the pleasure of visiting the Wake Up! program in Baton Rouge, Louisiana. 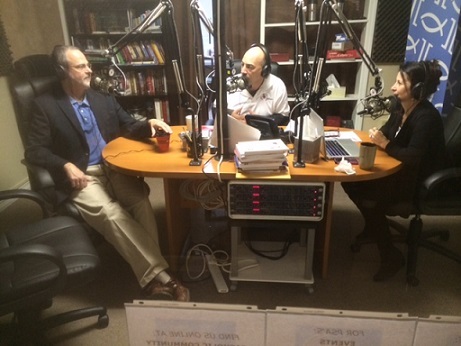 Each morning Jeff Blackwell, Johnny Hebert and Karen Hornsby do a great job providing a dose of news, faith and fun. 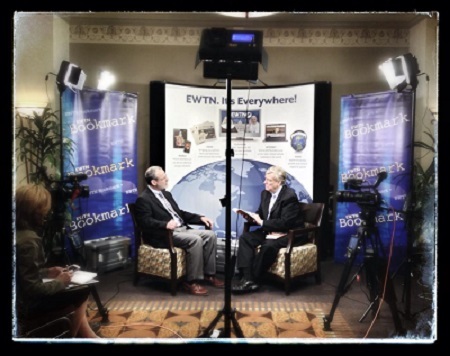 Today (direct from my home in New Jersey) I was able to join my friends in Louisiana to discuss the Blessed Mother. 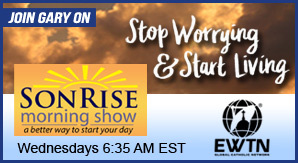 Our topic was “What If Mary Said, ‘No’?” and you can listen to the segment here. Stay tuned, because I’m about to announce some very exciting news about something that I’ll be working on with the Wake Up crew. I think you’ll be pleased! To Jesus Through Mary…One More Time! Three years ago on October 7, 2011 I formally placed my life in the hands of my Blessed Mother, Mary. On that day, along with several hundred listeners of my nightly radio show, my wife and I consecrated our lives to Jesus though Mary using the method popularized by St. Louis de Montfort. Earlier today at Mass, Eileen and I once again renewed our Total Consecration to Jesus though Mary. As has been the case for the past three years, we were joined (spiritually) by my listeners. To date, I have been fortunate to lead approximately 2,500 individuals through the Total Consecration process. I would like to thank all of you who participated in the Total Consecration process with me. It has been a privilege to guide you through the 33 day preparation period. I’m grateful for your prayers, support and financial contributions. I can’t wait to hear about the great things Our Lady accomplishes in your lives. I’m also thankful to Tony Mullen and Ray Mooney from MyConsecration.org. Once again, they have generously provided the consecration materials free of charge. Most importantly, I’d like to thank my Lord and Savior, Jesus Christ, for sharing His mother with me. I am beyond grateful for that gift! For those of you who have not made your Total Consecration, I strongly encourage you to do so. Entrusting your life to Mary will bring you closer to Jesus than you ever thought possible. Please contact me if you’d like more information about this devotion. It’s the best move you’ll ever make!